David E. Sahn is an International Professor of Economics in the Division of Nutritional Sciences and the Department of Economics. Since 2015, he has been a Research Fellow at the Institute for the Study of Labor (IZA) in Bonn, Germany. In 2017, he became a Senior Fellow at the Fondation for International Development Study and Research (FERDI) in Clermont-Ferrand, France. From 2011–2015, he was Chaire d’Excellence at Centre d’Etudes et de Recherches sur le Développement International (CERDI), l’Université d’Auvergne, France. He received a PhD from the Massachusetts Institute of Technology, and a Master’s of Public Health from the University of Michigan. His main academic interest is in identifying the solutions to poverty, malnutrition, and disease in developing countries, as well as the determinants of human capital and the role of cognitive and non-cognitive skills in labor market outcomes. In addition to teaching and mentoring of graduate students, he devotes considerable efforts to training and capacity building of research institutions in Africa and working with government officials and international organizations to integrate research findings into policy. 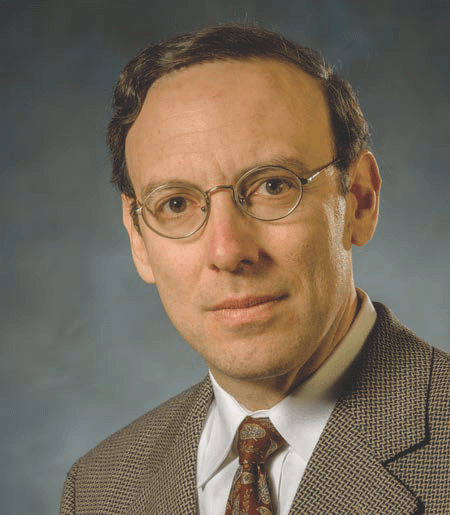 Before coming to Cornell in 1988, Professor Sahn was an Economist at the World Bank, and prior to that, a Research Fellow at the International Food Policy Research Institute. He has been a visiting scholar at the International Monetary Fund, a visiting researcher at both the Département et Laboratoire d'Economie Théorique et Appliquée, École Normale Superieure (DELTA) and Laboratoire d'Économie Appliquée de Paris, Institut National de la Recherche Agronomique in Paris, and a visiting professor at Kenyatta University in Nairobi. He has also worked extensively with numerous international organizations, such as the Hewlett Foundation, the African Development Bank, Organisation for Economic Co-operation and Development (OECD), the European Union, and several UN agencies such as UNICEF, the UN Development Programme, the Food and Agricultural Organization, the United Nations University, and the World Health Organization. He has also worked as a consultant for various governments in Asia, Africa, and transition economies in Eastern Europe. Dr. Sahn has a long list, numbering over 135, of peer-reviewed books, chapters, and journal articles dealing with issues of poverty, inequality, education, health, nutrition, and related economic and social policy. This body of literature includes both research focused on the impact of economic policy on household welfare, such as his widely cited books on the impact of economic reforms in Africa, Structural Adjustment Reconsidered (Cambridge University Press) Economic Reform and the Poor in Africa (Oxford University Press), as well as issues of health and nutrition, including the edited volumes, The Socioeconomic Dimensions of HIV/AIDS in Africa (Cornell University Press), The Fight Against Hunger and Malnutrition (Oxford University Press), and Health, Economic Growth and Poverty Reduction (University of Nairobi Press). Recent publications include “Early Childbearing, School Attainment and Cognitive Skills: Evidence from Madagascar,” forthcoming in Demography (co-author: Catalina Herrera Almanza); “The Incidence of Child Health Improvements,” Review of Development Economics 21(2): 304–320, 2017 (co-author: Stephen D. Younger); “An Incidence Analysis of Recent Child Health and Education Improvements in Africa” in Poverty Reduction in the Course of African Development, edited by Machiko Nissanke and Muna Ndulo, Oxford University Press, 2017 (co-author: Stephen D. Younger); "Household Shocks and Education Investment in Madagascar," in Oxford Bulletin of Economics and Statistics, 78(6): 792–813, 2016, with co-authors Peter J. Glick and Thomas F. Walker; “Pro-Poor Policies in Sudan and South Sudan: Distributional Impact of Public Spending and Taxation,” in African Development Review 28(S2): 191–218, 2016 (co-author: Stephen D. Younger); "The Role of Education and Family Background in Marriage, Childbearing, and Labor Market Participation in Senegal," in Economic Development and Cultural Change, 64(2): 369–403, 2016 (co-author: Francesca Marchetta; "Schooling, Marriage, and Childbearing in Madagascar," in Population Studies 69(2): 219–236, 2015 (co-authors Peter J. Glick and Christopher Handy); "Is Food the Answer to Malnutrition?" in the Oxford Handbook of Food, Agriculture and Society (2015); "Public and Private Returns to Investing in Nutrition," in the Oxford Handbook of Economics and Human Biology (2015); "Nutrition, Health and Economic Performance," in the Encyclopedia of Health Economics (2014, Oxford: Elsevier); "Health Inequality across Populations of Individuals," in the African Development Review 24(4): 267–269, 2012; "Health Challenges in Africa" and "Impact of Health on Economic Outcomes," both included in The Oxford Companion to the Economics of Africa (2012).